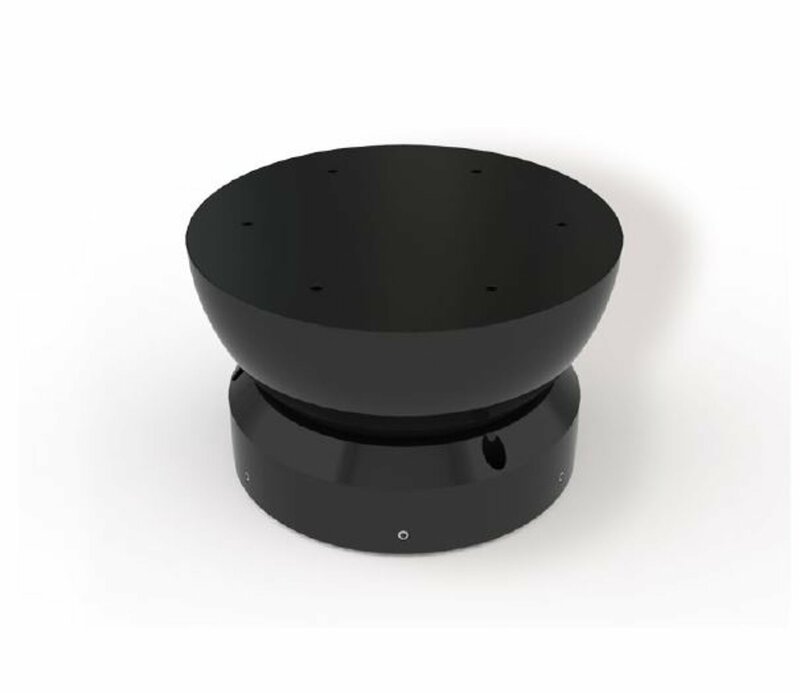 The PIglide HB series with spherical air bearings makes unique positioning and simulation applications possible in the fields of research and industry. The bearings offer excellent load capacity and stiffness, and at the same time, inherent friction-free motion on three rotational axes. The spherical bearings, which are often used in research on weightlessness in satellites, are also used in systems for precision chip contacting and optical alignment. Due to the use of spherical bearings at both ends of the drive screw shaft, it is possible to build extremely stiff drive screws. This arrangement allows precision alignment of the drive screw shaft due to the motion of one spherical bearing relative to the other. * The specified load capacities assume an operating pressure of 80 psi (550 kPa). For an alternative operating pressure, contact PI for determining other load capacities. ** Other travel ranges on request. *** Around the center of the sphere.